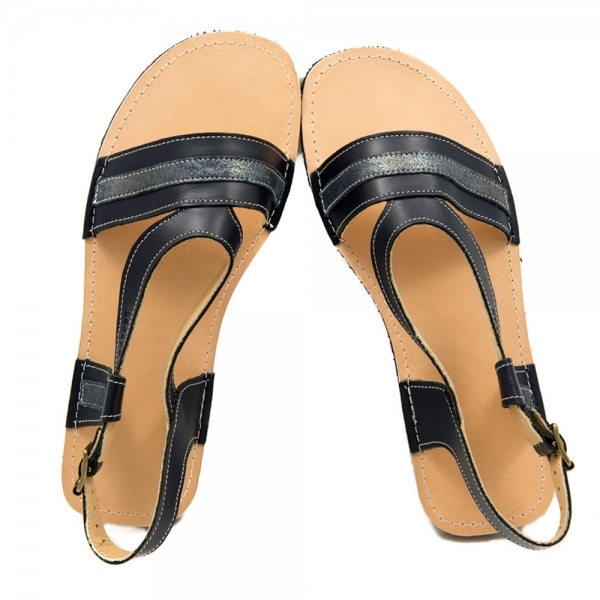 sizes 19/20 to 30 - 5 mm lightweight flat Vibram® Wave. sizes 31 to 34 - 6 mm flat Vibram® Superflex (more durable and with even better grip and elasticity than the 5 mm Vibram® wave). Appropriate for outdoor use, especially for toddlers making their first steps. 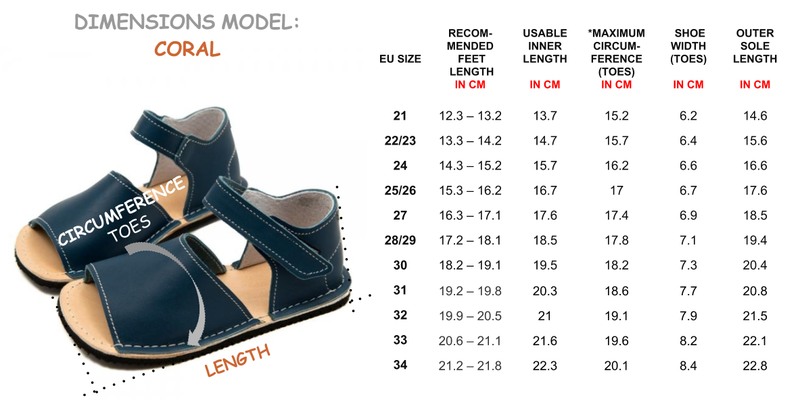 HOW TO DETERMINE THE SIZE: Print the sizing chart for this model up to size 30 here and sizes 31-34 here. The inner dimensions of this model are described in the table below. The foot length should fall within the range in column "RECOMMENDED FEET LENGTH". The maximal circumference around the widest part of the toes should be equal to the numbers written for each size in column "MAXIMUM CIRCUMFERENCE (TOES)".